The NHL’s Department of Player Safety isn’t making too many friends these days. Their downhill slide started when they gave Brad Marchand – a repeat offender with a reputation as an over-the-line player – a measly fine for a dangerous slew foot. And things only got worse when they levied just a six-game suspension at Detroit Red Wings forward Gustav Nyquist for a dangerous high sticking incident that looked more than anything like he was trying to impale Jared Spurgeon. Well, now you can count the Winnipeg Jets, the Ottawa Senators and their respective fans among the many who have taken issue with the DOPS’s operations of late. 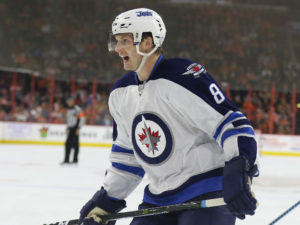 The beef stems from their Feb. 19 meeting in which Winnipeg’s Jacob Trouba laid out Mark Stone with a clear blow to the head – but that was only the beginning of the NHL’s headache. Guy Boucher was incensed on the Senators bench when he realized Trouba was only assessed a two-minute minor for a check to the head (which is an issue itself, but an argument for another day). Despite the seemingly obvious connection between a head shot and a major penalty, it turns out, as TSN’s Bob McKenzie reported, the two-minute minor was actually the correct call. According to the NHL’s rule book, the only way Trouba could have been assessed a major penalty was if the referees deemed there to be intent to injure. That’s a tough call to make, but given the fact Trouba delivered the hit within the appropriate time frame and didn’t leave his feet to do so, let’s give the refs the benefit of the doubt. But that did nothing to ease the minds of Sens brass, who still felt the hit deserved a major penalty – at a point in the game when a five-minute power play could have helped the team claw back from a 3-2 deficit. Then they received another blow when the verdict came down and Trouba received…a two-game suspension? Sure, the suspension was a little short considering the severity of the hit, but it was the reasoning the NHL gave that left Guy Boucher, among others, scratching his head. According to the DOPS, Stone “suffered no apparent injury” – an odd conclusion, given the fact he didn’t return to the game, hasn’t practiced since and missed Ottawa’s most recent game. Using injuries to measure the severity of an illegal play is something of a flawed practice, but so long as the NHL continues to use it as a criterion in administering discipline the process of diagnosing an injury has to be respected. In this case, Trouba was suspended only a day after the hit, which didn’t leave much time to properly evaluate and diagnose Stone before putting together a timetable for his return. As the Sens vocalized their frustrations at how Stone’s situation was handled by the league, the Jets were lamenting the results of previous questionable plays involving their team. Case in point – only three days before their date with the Sens, Blake Wheeler’s health was momentarily in question after taking a hit seemingly to the head from Pittsburgh’s Evgeni Malkin. Not only did Malkin avoid suspension, the league didn’t even bother to give him a call to offer as much as a warning. Paul Maurice, clearly frustrated at the inconsistency of the DOPS – dating back to last season when Bryan Little suffered a fractured vertebra on a dirty hit – made his frustrations known in a way only Maurice can (skip to 8:20 in the video). So it’s understandable the Jets would be frustrated that two apparently similar plays could produce such diametrically opposed action from the league. But there’s also no denying Trouba’s play was reckless and dirty, and no amount of perceived injustice can reconcile that fact. Much as it may have pained them to do so, the Sens had to quickly move on from their game against the Jets as they headed to New Jersey – with the health of some of their best players in jeopardy. Already dealing with the news of Bobby Ryan’s broken finger, which they received word of prior to Sunday’s game, their meeting with Winnipeg only added more wrinkles to their situation. Besides losing Stone, Mike Hoffman hurt his groin and Tommy Wingels had to leave after taking a hit from Dustin Byfuglien (though he returned to the lineup against the Devils). Injuries are a fact of pro sports, but losing players as important as those mentioned above puts the Sens in a potentially crippling situation. Hoffman and Stone are obviously two of Ottawa’s premiere forwards, and Ryan – though underperforming offensively – has played better of late in his new, unofficial role as checker/power forward. With the trade deadline now a week away, Ottawa’s injury situation could force Pierre Dorion’s hand should things fail to improve.